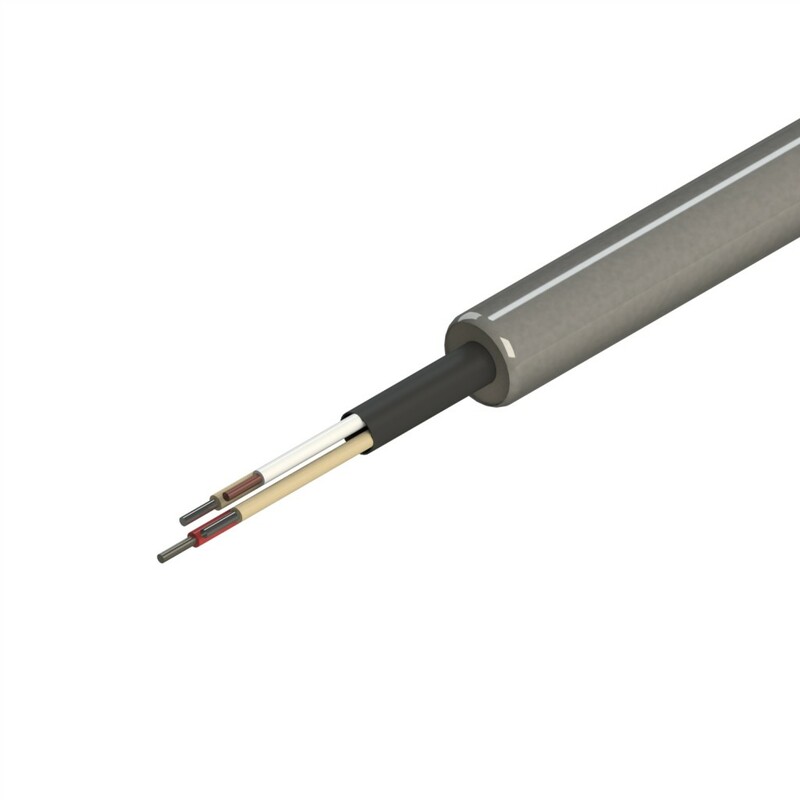 This cartridge heater design has a built-in thermocouple with swaged in leads that exit straight out at the end. The inner junction can be placed at the disk end, or in the middle of the sheath. 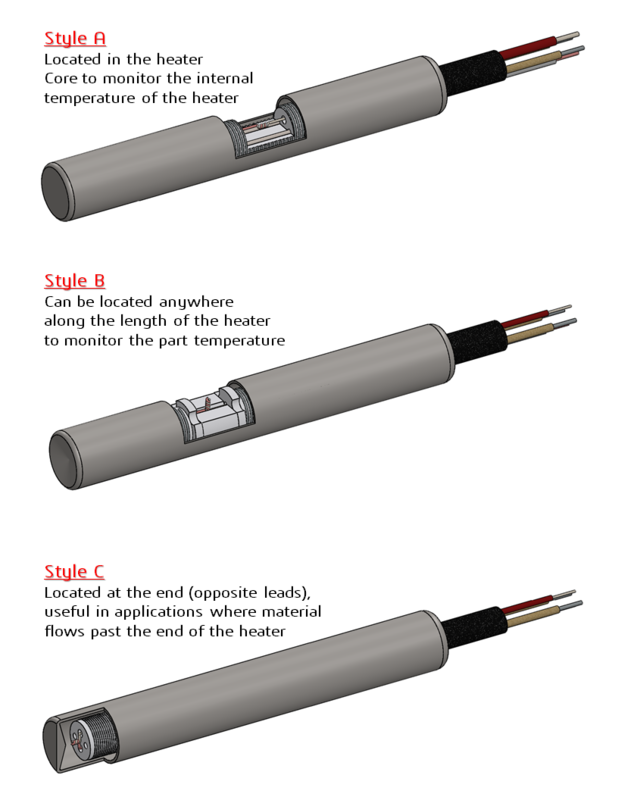 J or K style thermocouples can be supplemented (if requested) and will be made to accommodate all diameter needs.